Developed with input from a cross-sector of industries, this online Digging Awareness (SD102) 1-2 hour course is intended to teach individuals of the hazards and safety requirements associated with ground disturbance or excavation activities. This e-learning course introduces the student to the PROPPER Phases of Safe Digging and some of the key legislation and steps necessary to safely perform a ground disturbance (excavation). Included in this Digging Awareness training course: Online quizzes. Certificate and wallet card issued upon successful completion. 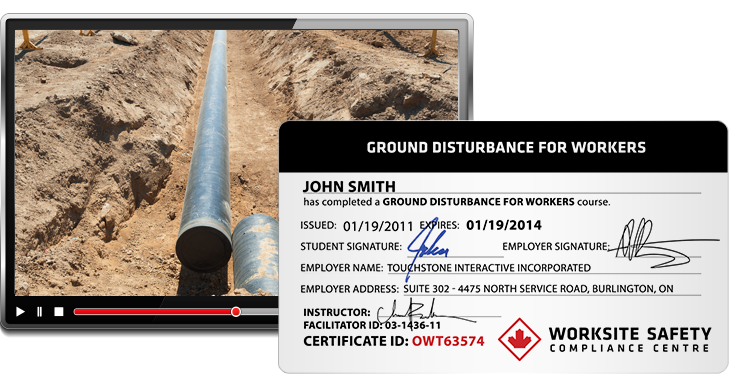 All individuals, including supervisors, ground disturbers, excavators, project managers, and workers, who work in the ground disturbance (excavation) industry will benefit from this e-learning Digging Awareness training course.